The SGLI Online Enrollment System (SOES) allows Servicemembers with full-time SGLI coverage to make fast and easy changes to their life insurance coverage and beneficiary information any time without completing a paper form or making a trip to their personnel office. Are you a current or former VA life insurance policyholder? Could you be the beneficiary to a VA life insurance policy? Visit our Unclaimed Funds search page to search our database of unclaimed insurance funds and find out if we are holding money for you! Set up automatic deductions from your bank account for your Veterans’ Group Life Insurance (VGLI) coverage! Set it and forget it! Learn how easy it is for policyholders to gain access to their VA life insurance policies online. View the video. As part of our mission to serve Servicemembers, Veterans, and their families, VA provides valuable life insurance benefits to give you the peace of mind that comes with knowing your family is protected. VA’s life insurance programs were developed to provide financial security for your family given the extraordinary risks involved in military service. Beginning October 1, 2018, Coast Guard and NOAA members can manage their Servicemembers’ Group Life Insurance (SGLI) coverage using the SGLI Online Enrollment System (SOES). Coast Guard and NOAA members join the Army, Navy, Air Force and Marines in using the new system. All Servicemembers should look for information from their service about when they should access SOES to confirm and certify their SGLI elections. *Public Health Service members are not currently using SOES and should continue to use the paper SGLV 8286 forms for SGLI elections. SGLI provides automatic life insurance coverage of $400,000 to Servicemembers upon enlistment. Members with SGLI also get automatic traumatic injury protection (TSGLI) and life insurance coverage for their dependent children and spouse under the Family SGLI program, unless the child or spouse is already insured under SGLI as a Servicemember. Servicemembers with full-time SGLI coverage will no longer have to complete a paper SGLV-8286 to make changes to their coverage or beneficiary elections. Instead, these Servicemembers can use the online system, SOES, to manage the amount of their SGLI and spouse coverage and to designate or update beneficiaries. To access SOES, go to www.dmdc.osd.mil/milconnect, sign in, and go to Benefits, Life Insurance SOES - SGLI Online Enrollment System. Servicemembers can log in with their CAC or with their DS Logon using Internet Explorer as soon as they receive notice that SOES access is available. Servicemembers can then make sure their SGLI coverage and beneficiaries are up-to-date. Have questions about SOES? Follow this link for answers to Frequently Asked Questions. Want to learn how SOES will simplify the SGLI Election Process? Follow this link for an easy to understand picture of the SGLI election process before and after SOES implementation. Servicemembers' Group Life Insurance (SGLI) is a low-cost group term life insurance program for Servicemembers. Coverage can be extended for up to two years if the Servicemember is totally disabled at separation. 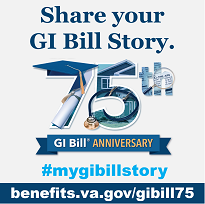 Veterans' Group Life Insurance (VGLI) allows Veterans to convert your SGLI to a civilian program of lifetime renewable term coverage after separation from service. Family Servicemembers' Group Life Insurance (FSGLI) insures spouses and children of Servicemembers with SGLI coverage. Spousal coverage may not exceed the Servicemember's coverage. Dependent children are automatically covered at no charge. Servicemembers' Group Life Insurance Traumatic Injury Protection (TSGLI) is an automatic feature of SGLI that provides payments to Servicemembers who suffer losses, such as amputations, blindness, and paraplegia, due to traumatic injuries that occur in service. Service-Disabled Veterans' Life Insurance (S-DVI) provides life insurance coverage to Veterans who have been given a VA rating for a new service-connected disability in the last two years. Totally disabled Veterans are eligible for free coverage and have the opportunity to purchase additional life insurance. Veterans' Mortgage Life Insurance (VMLI) provides mortgage life insurance protection to disabled Veterans who have been approved for a VA Specially Adapted Housing (SAH) grant. Do you Qualify for VA Insurance? Follow this link for an easy way to find out if you are eligible for all our programs, including Service Disabled Veterans Insurance (S-DVI), Veterans Group Life Insurance and Family SGLI, TSGLI, and Veterans Mortgage Life Insurance. You’ll find infographics (timelines and charts) for each program. Servicemembers' Group Life Insurance (SGLI) SGLI coverage is automatic. All Servicemembers with full-time coverage should use the SGLI Online Enrollment System (SOES) to designate beneficiaries, or reduce, decline or restore SGLI coverage. To access SOES, go to www.dmdc.osd.mil/milconnect. Members of the Public Health Service and Servicemembers with part-time coverage should use SGLV 8286 to make changes to SGLI. Veterans' Group Life Insurance (VGLI) Complete and file form SGLV 8714 or apply online. Family Servicemembers' Group Life Insurance (FSGLI) All Servicemembers should use SOES to decline, reduce, or restore FSGLI coverage. To access SOES, go to www.dmdc.osd.mil/milconnect. Members of the Public Health Service should use SGLV 8286A to to make changes to FSGLI coverage. Servicemembers' Group Life Insurance Traumatic Injury Protection (TSGLI) Coverage is automatic for all Servicemembers covered by SGLI. To file claim for the TSGLI benefit, complete and file SGLV 8600. Service-Disabled Veterans' Insurance (S-DVI) apply for S-DVI online or complete and file form VA 29-4364. Veterans' Mortgage Life Insurance (VMLI) Complete and file form VA 29-8636, Application for Veterans' Mortgage Life Insurance.